Below are the answers to the contest questions and the explanations thereof. Interestingly enough, some of you picked answers, while even though incorrect, did make a lot of sense. We tried to think all of these through, but you all are just so creative! In fact, we thought many of the answers were too obvious and easy, but I think it is because we are so invested in each and every book that it is hard sometimes to look at it from a different perspective. We apologize for making you scratch your head too hard! Thanks so much to everyone for playing along! Hmmm...what can we do next year...a 1,000 word essay...Yes! That’s it! So without further ado, here are the answers. The books are alongside the clues in blue and the explanations are directly underneath. Note that on some there is no explanation because it will be obvious once you read the name of the book. The theme song from the television show "Happy Days"
From Green Day's song, "I Hope You Had the Time of Your Life"
This is the theme song from the television show "Cops". The word "boys" is a plural suggesting more than one, as opposed to just Dillinger. The ghost in the courtroom appears only in the book, not in the movie. The picture is a lotus tree. In the book the bomb making plans are hidden in a garden under a lotus tree. All things chocolat and also the imaginary friend in the book. A love story that takes place during the Russian Revolution. The name of the syndrome Bauby suffers from. The story was a battle for mankind. He was searching for details in the wood carvings to summon the Devil. “Blue glass” would have been too easy. Cool! Thanks. I can even see where I made things harder for myself than they had to be! But it was so much fun. Would love to know more about the creation of ONBC and whether you ever thought you'd be doing this for seven years. I find it amazing, online -- where things are so notoriously impermanent. I know JDRs has a book club but never entered that particular door. firefly, I don't think we ever envisioned any timeline for ONBC. We just knew it was something we wanted to keep going once the site moved to the current location and we have just been keeping on, keeping on ever since thanks to Johnny's inspiration, our wonderful hosts and the creative input of our Noodlemantras! fireflydances wrote: Would love to know more about the creation of ONBC and whether you ever thought you'd be doing this for seven years. I find it amazing, online -- where things are so notoriously impermanent. I know JDRs has a book club but never entered that particular door. Firefly, I’ve always made things harder than they had to be. Fansmom, the only Green Day song I know is Boulevard of Broken Dreams too. Actually, “remember” is a more operative word than “know” because there was a time that I knew more of their songs due to my daughter. Oh That’s a lotus tree? 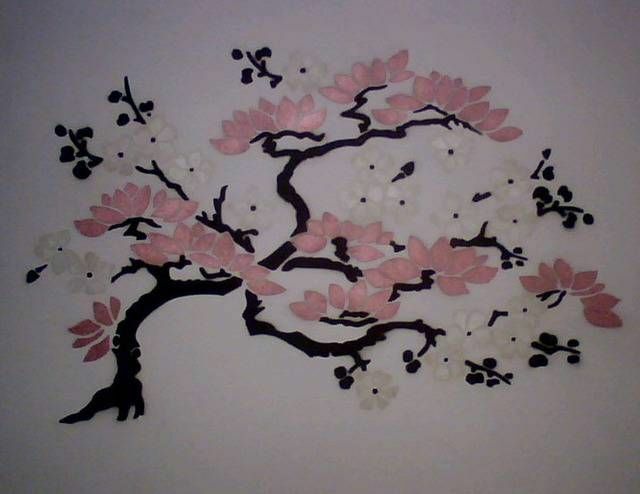 The only thing I could think of was apple blossoms. I thought it was a cherry tree--the river's name. And I thought the tree was one of the easier ones! I thought #15 referred to the character of Finch. Right answer, just a different meaning for the clue. I switched The Club Dumas and Good Omens in my answers; I still think those two could go either way, but agree the mod's answers are more correct. I used a combination of google, archives, memory, puzzle-solving, and old fashioned luck to get my answers. Would you believe I didn't know there was a musical group named "Green Day" until I looked it up -- I was looking for an anthem for Earth Day -- but I found the group, then a list of their songs, and the answer was right there! It was a clever and difficult quiz. I would expect nothing less from DITHOT and Liz! I went with I, Fatty for Yellow Journalism because of the connection to the Hearst newspapers, and I could swear I remember Crowley saying "the devil is in the details" in Good Omens. I also had "All aboard" pegged to fear and Loathing for a while -- "Buy the ticket, take the ride." A really good contest because so many of the clues could have applied to more than one book, but one answer has the closest association. Makes me feel sorry for my students when I give them same kind of test. SATs and drivers tests come to mind. Sorry, guys. I, Fatty had never occurred to me, but when you bring up Hearst, it makes sense. Liz wrote: SATs and drivers tests come to mind. Sorry, guys. The SAT and driver's tests, though, are factual things that one can study for. Trying to figure out if Ask the Dust and "Blowing in the Wind" are related in the minds of our moderators is another thing entirely! But the DMV makes an effort to trip you up. Remember, we thought they were too easy. Although, it could be in the minds of the DMV, their questions are easy too. Food for thought. The original ONBC moderators were me and Tansy, joined by Karen. When Tansy and I started it, I thought we'd be discussing just one story--Secret Window, Secret Garden. But she enlightened me that Johnny was really into books, and I saw that this was going to last a little longer than I had originally thought. Then 4 books later Tansy felt she had to leave due to time constraints and Karen went on to found JDR. And the rest is history.. In terms of the contest, it strikes me that a number of the answers kind of drapped themselves right in front of one, more obviously simple dummy than I imagined. In fact, not so much hard as kind of like those little visual puzzley things: you look and see nothing and then WOW there it is. I could kick myself for guessing Charley and the Chocolate instead of Chocolat -- to be honest I didn't even see the Chocolat title. The ones I got that I had no right getting (Free Falling, A Tale of Two Realities (although I might have changed this at the very last minute to a losing answer! ), Lovebird and Babes in Toyland). The ones I missed for dumbness sake ( A Brother's Tale: got stuck on JM Barrie having a brother who had died, like can we find the eetsy bitsy details and ignore the man sitting at the author's table) and (Bad Boys, Bad Boys: the guy that wrote the book or something or another actually had something to do with Bad Boys II -- again buried in details, the footnotes mind you). Anyway. All fair, all findable. Great fun. You mean you guys can't read our minds? I love reading how you all came to the answers you did. We both thought that many of the "incorrect" answers were understandable, wrong but understandable. In terms of the contest, it strikes me that a number of the answers kind of drapped themselves right in front of one, more obviously simple dummy than I imagined. In fact, not so much hard as kind of like those little visual puzzley things: you look and see nothing and then WOW there it is. firelfly, your take on this reminds me of one of our favorite phrases around here, "Who us? Overanalyze?"